As a seasoned Licensed Professional Counselor, Supervisor, and Doctor of Ministry, Dr. Janet Oliver White has worked with children, adolescents, adults, and families to treat a variety of mental health conditions and has extensive experience counseling individuals with substance use disorders. 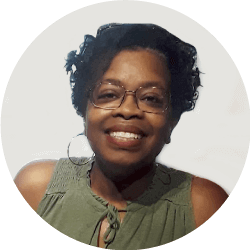 She enjoys working with individuals 12 and older to treat mental health concerns, wellness counseling for active duty / veterans, college students, adults, couples and families. Janet utilizes several clinical approaches including the Matrix Model, Motivational Interviewing Techniques (MIT), Cognitive Behavioral Therapy (CBT), Dialectical Behavioral Therapy (DBT), Solution-Focused Techniques, Christian Counseling and Couples / Marriage Counseling to help her clients cope with life’s challenges.